Most of us take so much pride in growing our fruit trees and vines that the thought of cutting on it thoroughly horrifies us. Of course, if we truly "love" our plants we will take the appropriate action to ensure that they will be capable of a peak production performance when the time comes. This "appropriate action" to which I refer is pruning. Homeowners must be brave! Pruning a "loved" tree or vine is sort of like spanking your child; you know it's going to be best for all parties concerned. Now is the proper time to prune. We need to wait until winter is almost over (we hope) and spring is fast approaching. Since our average first frost-free day is around March 15, this month can be thought of as our early spring month. Homeowners should not prune when wood is frozen since freezing causes brittle wood. The main reason for not pruning in the fall or winter months is that the possibility exists of selecting poorly matured wood for main branches. This poorly-matured wood may then die in the winter causing a reduced yield in the next growing season. After winter exposure this dead wood can be easily recognized as dark, brittle and sapless and can be removed. Late spring pruning may cause sap bleeding or weeping, but it is best to prune late than not to prune at all. 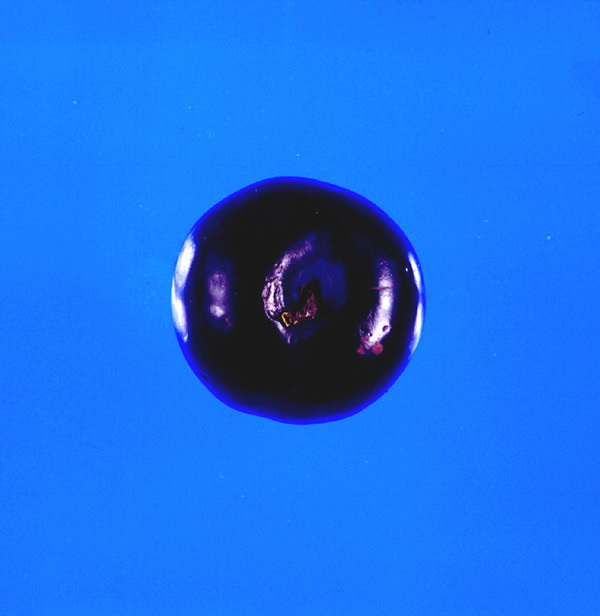 Why prune at all? There are several very important reasons why we should prune. 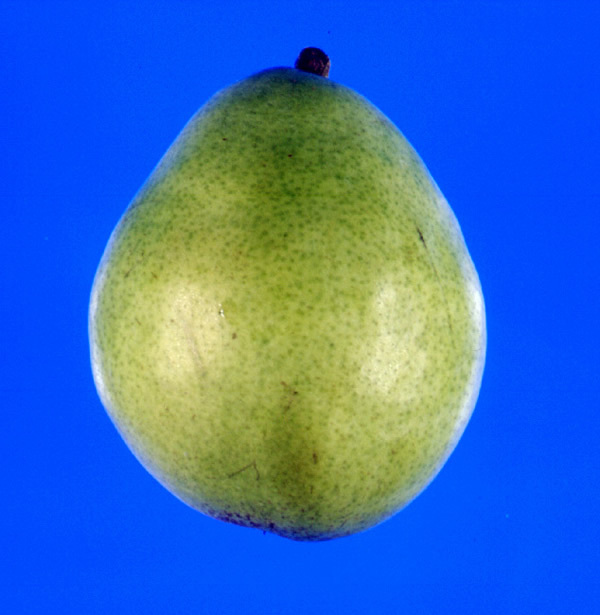 First of all, pruning promotes large, well-flavored fruit. This is very easy to understand if one envisions the entire metabolic workings of a tree or vine. Remember, plants are like people --they have certain limitations. It is impossible for a plant to produce the quality of fruit which we desire when it is allowed to mature the quantity of fruit which it is capable of setting. For this reason, we must control the tree's fruiting. By proper pruning techniques, we can remove some of the fruit buds which would mature fruit. By having to mature fewer fruit the tree can concentrate all available nutrients into those few fruit and consequently produce the large, juicy product which we desire. 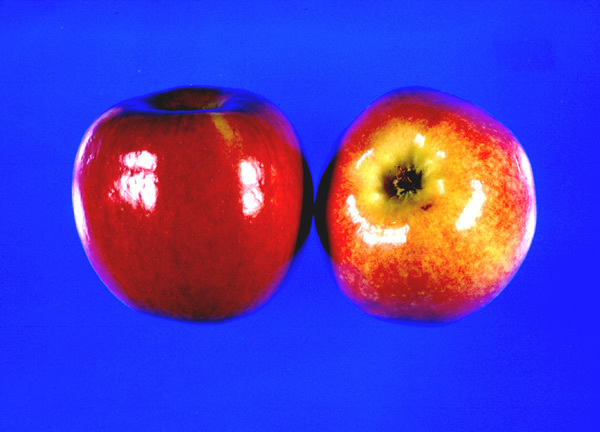 The fruit grower must decide whether he wants many small fruit or an adequate number of high-quality fruit. That plant only has a certain capacity for production. Another valuable advantage of pruning is to establish a proper framework. A strong framework can support more fruit which should be evenly distributed throughout. This will prevent tree breakage when fruit begins to grow and mature. 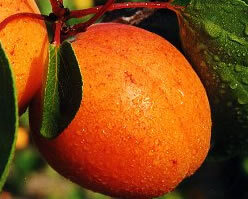 The even distribution will also enhance an even ripening of fruit throughout the tree. Of course, we all realize that prevention of tree breakage will result in a longer-living and more attractive landscape plant. One of the most often overlooked, and possibly the most important, aspects of proper pruning is the fact that pruning serves to modify growth conditions. This simply refers to a previous statement that plants, like people, are capable of only so much production. The production of a plant during the growing season largely depends upon the vigor of the plant during the preceding year. If a tree or vine is allowed to overproduce, which will be caused by pruning neglect, a smaller amount of shoot growth and metabolite storage will occur. It will be weakened, and normal production will be decreased in the following year. I have not told you exactly how to prune the different fruit and nut trees. That is because each tree is an individual and requires a different approach. Each pruner is different and wants a certain product or shape in his tree. There are books and publications which give general recommendations, and I would encourage you to get these if you have some plants to prune. Following are pruning descriptions of the most common fruit. Pruning young trees tends to dwarf or retard growth. Nevertheless, this is an important practice for the young tree to get the right start. To prune properly, a definite objective is necessary. Trees may be trained in many different forms. The popular form of the apple tree today is the central leader type. Its chief characteristic is the central trunk with scaffold branches growing from it. One of the best examples of the leader type is the pine tree. The trunk should be definitely larger than the branches, and the branches should be well separated up the trunk. The lowest branch should be 2 to 3 feet from the ground, but this is a matter of personal choice. A variety with wide-spreading branches should have the first branch starting higher than one with upright branches. If non-branched trees are planted, cut them 24 inches above the ground at planting time. Two year-old trees received from the nursery will have several branches, each not more than about 3 inches apart. Cut off all but one of these leaders. If there are two or three leaders, they form narrow v crotches where they join. Such crotches are weak and tend to break in a storm or under a heavy crop of fruit. After choosing one leader, select the first or lowest branch for your tree. It is important that all these scaffold branches have wide angles where they join the trunk. The first year of training usually produces a tree with one branch -occasionally two -and a leader. Cut back very long leaders to about 20 inches. New lateral branches will grow from the leader next year. From these you can choose another scaffold branch or two. As the tree grows older and higher, cut the top off at about 10 feet. Make such a cut at the junction of a lateral branch. This form is then known as the modified leader. Five to eight scaffold branches are enough for a tree. The space between branches should be 8 to 18 inches, and the branches should be evenly distributed around the central trunk. If certain branches are longer than the others, prune them back severely. When the permanent scaffold branches are selected, it is permissible to let other branches grow. Remove these branches in a year or two before they interfere with proper development of the permanent branches. Avoid branches with narrow crotch angles, if possible. Train the young pear tree at planting to the same pattern as recommended for apples. Once the young pear tree is established, prune only lightly. The branches of most pear varieties and some apple varieties tend to grow upright, so they need to be spread and pulled down. Cutting back to outward buds or shoots is not a good way to do this, because soft new growth is subject to fire blight. To spread the tree put wooden "spreaders" in or near the crotches or tie the branches down or outward. Pear trees are very slow to begin bearing. As trees reach 5 to 6 years of age, such tying down or bending of the upright branches tends to start fruit buds. Young plum trees should be trained in much the same way as peach trees. The newly planted trees should be pruned in the spring just before growth begins. If non-branched trees are planted, cut off the shoot about 3 feet above the ground. If branched trees are planted, one or two branches with the lowest about 2 feet from the ground are selected, as the beginning of the main scaffold limbs. Avoid heavy pruning of plums. 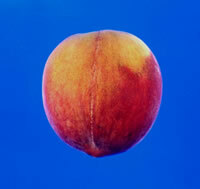 Apricots are usually pruned very little since they fruit so sporadically. Apricots are borne on short spurs and one year old growth. Considerable thinning-out pruning should be done to induce annual production of new fruiting wood. Because of the grape vine's characteristic of vigorous growth severe pruning isnecessary. Approximately 90 percent of the entire vine must be removed yearly. 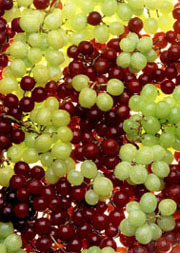 You will benefit by harvesting larger grapes, and the vine will benefit by increased and maintained vigor. Peach trees are trained or grown using an open center system. To accomplish this, three limbs radiating in 120-degree directions from the uppermost part of the trunk are selected for primary scaffold branches . The lowest scaffold branch should be 18-20 inches from ground level and pointing in the direction of the southwest. This shades the ground and trunk from intense sunlight. Enough trunk space should be left so that there will be 8-12 inches of trunk between primary scaffold branches. If all primary scaffolds emerge from the trunk near the same location, a danger exists of splitting the trunk and ruining the tree when a heavy crop of fruit is produced. Proper spacing of scaffolds, selection of wide angle crotches, and removal of conflicting and upright branches develop a strong framework to support heavy loads of fruit. Secondary branching on main scaffolds should be encouraged by heading or cutting these main scaffolds at 20 to 30 inches from their juncture with the trunk. After these primary scaffolds have formed, secondary branching , light pruning or heading each session will cause new growth in the form of tertiary branches which will bear most of the fruit. Once this main system of primary, secondary, and tertiary branches has been developed, subsequent pruning will consist of cutting back tall shoots, keeping the center of the tree open, and removing all suckers, watersprouts, dead or diseased branches, and rubbing or shading branches. The tree should not be allowed to grow higher than 8 feet. The "maintenance work" on a peach tree should consist of thinning out undesirable growth, especially that which grows in and toward the center of the tree. In fact, a good technique for pruning peaches is to stand in the center of the tree and prune until you have a bowl or open center effect around you. Each of the six secondary scaffold limbs, when pruned back, will produce additional fruiting limbs around the perimeter of the tree. Center limbs and low-hanging outside limbs should be removed. Pruning is a horticultural practice based on aesthetics and science that alters the growth of a plant. There are many reasons for pruning, and all pruning should be based on reason. Pruning often begins at planting time for bare root nursery stock. However, recent research indicates that it is better to do only minimal corrective pruning then. Some guidelines for pruning are: (1) Broken and damaged roots should be pruned back to sound wood, (2) Broken and damaged branches should be removed, (3) Young trees can be shaped. It is usually not advisable to cut back the leader of a young tree, (4) The stems of shrubs can be thinned and partially cut back, (5) Plants to be grown as hedges should be cut to within 6 inches of the ground at planting time. It is usually not necessary to prune plants that are dug with a ball of soil attached to their roots. Pruning can maintain the health and quality of established plants. Pruning for the following reasons will help prolong the plant's life by: (1) removing dead or dying portions of plant with disease problems or insect injury, (2) removing portions of plant injured or killed by the winter, (3) removing branches injured by storms, (4) removing existing branch stubs, (5) removing rubbing branches, (6) removing sprouts or suckers at the base of grafted plants, (7) removing watersprouts (succulent vigorous shoots on the inside of the tree near the trunk), (8) removing surplus branches so the remaining ones are spaced at 1 foot apart on trees, (9) branches normally should be left so they come out from all sides of the tree, (10) removing narrow-angled branches from the main trunk. Another reason for pruning is to improve the appearance of the foliage and flower and stem quality as well as to: (1) shape or form and increase the usefulness of function of the plant, such as hedges, espalier, etc., (2) remove lower branches to train to tree form, (3) remove multiple leaders on these plants where a single leader is desired, such as evergreen or shade trees, (4) control plant size, and (5) improve fruit quality and increase production, open plant up, and promote flowering, ease of spraying, and harvesting. Pruning is sometimes done to protect people and property rather than to benefit the plants. For example, pruning is done to: (1) eliminate weak tree branches that overhang homes, parking areas, and other areas that are frequented by people, (2) eliminate branches that interfere with street lights and traffic signals, (3) remove branches that interfere with overhead wires, (4) remove lower branches that are a safety hazard or interfere with individual or vehicular movement and (5) prevent encroachment on others' property. Pruning at the proper time is also important. Some plants are susceptible to disease invasion if pruned at the wrong time. These plants should be pruned when they are least likely to become infected. 2. Apples, and pears, should be pruned between the time they go dormant in the fall and the time growth starts in the spring to minimize the spread and chance of infection by a bacterial disease called fireblight. Some trees have a free flowing sap and will "bleed" if pruned in late winter or early spring. Although this "bleeding" causes little or no harm to the plant, it causes major concern for many homeowners. Trees and shrubs that bloom early in the growing season on old wood should be pruned immediately after they finish blooming. Any winter injury should be eliminated as soon as the following plants come into leaf. Shrubs that bloom late but on old wood should be pruned either early in the spring before growth starts or immediately after bloom. Shrubs grown primarily for their foliage, fruit, or other reasons should be pruned in the spring before growth starts. Any wood injured by the winter should be removed as soon as the plant comes into leaf. Shrubs that bloom on the current season's growth should be pruned in the spring before growth starts. The natural form of an evergreen is usually the most desirable, and pruning should be limited to correcting growth defects. Evergreens that grow continuously through the growing season can be pruned at any time, but early in the growing season is usually best. Pines put on a single flush of growth and stop. They must be pruned at the candle stage of growth before the candles become woody. Pruning at other times will cause dead stubs. To promote dense, compact specimens, pines should be pruned when their candles are elongated to about three-fourths their length. Up to two-thirds of this new growth can be removed. Pruning should not go into last year's growth. Do not attempt to prune near electrical and utility wires. The utility companies should be contacted to do the work. For most landscapes, the natural form of the plants is best, and consequently plants should not be sheared to tight geometrical forms. They should be altered only if the plant must be confined or trained to a specific purpose. After pruning, it should not be obvious that the plant has been pruned. Never leave stubs because these serve as entryways for disease organisms to invade the plant. Heading back or topping trees is not recommended because the cut stubs never completely heal. It is often better to remove trees that have outgrown their usefulness. Overgrown shrubs can be renewed by cutting off 1/3 of the oldest stems to the ground. When renewing an overgrown hedge (most shrubs will recover), cut it to the ground. Avoid partial cutback of shrubs. In shortening a branch or twig, cut it back to a side branch or make this cut 1/4 inch above a dormant bud. Dormant buds are at the bases of all leaves. When cutting roses, the stem should be cut to ½ inch above the bud at the base of a 5-leaflet leaf growing toward the outside of the plant. If pruned to this point, bloom will occur more quickly than if a shorter stem were removed. When removing large branches, three or four cuts are necessary to avoid tearing the bark. Make the first cut on the underside of the branch about 18 inches from the trunk. Undercut 1/3 to ½ way through the branch, but stop before the saw binds. The second cut should be made an inch further out on the branch; cut until the branch breaks free. If the stub is small enough, hold it with one hand and use the other hand to cut the branch stub. The cut should be made just beyond the branch collar swelling. This collar contains chemicals that inhibit the invasion of decay organisms. If the branch is too large to be held in one hand, undercut it with the third cut, and cut it through with the fourth cut from the top down. A newly planted hedge should be pruned to within 6 inches from the ground at planting time. At each succeeding pruning, it should be pruned to within 1 inch to 2 inches from the last pruning to develop a dense plant. Hedges should be pruned so they are wider at the base than at the top to allow all parts to receive sunlight.